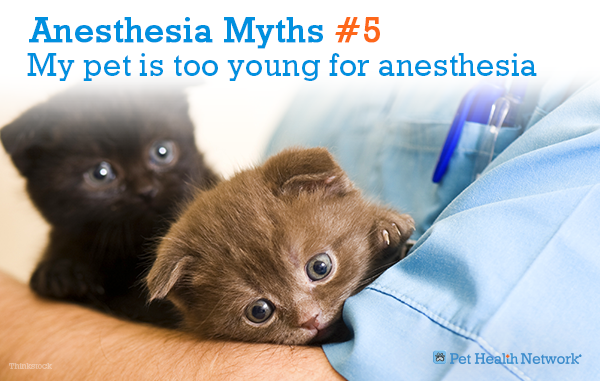 Of all the worries pet owners may have around surgery, anesthesia probably tops the list. Unfortunately, their concerns are often the wrong ones. 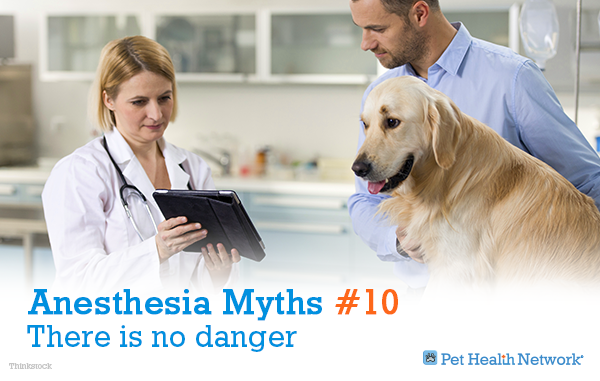 Here are 10 anesthesia myths we hear regularly. Okay, so this is not a complete myth. 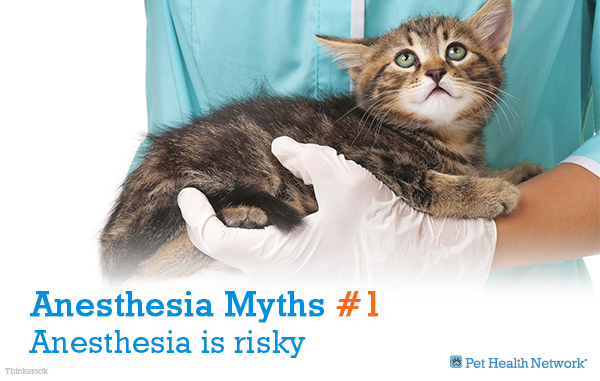 Of course there is always a risk with anesthesia, but it’s immensely smaller than most pet owners believe. 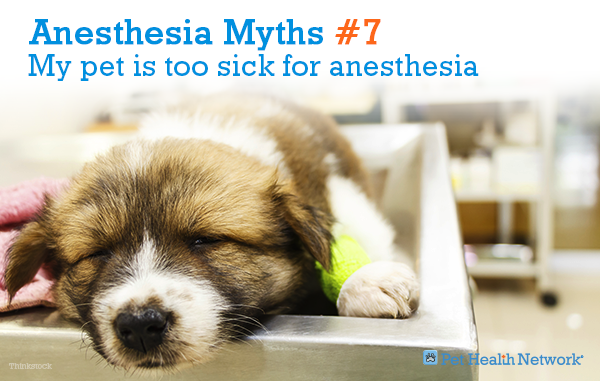 Of ALL patients, including the healthiest and the sickest, what percentage of pets don’t make it through anesthesia? 30%? 20%? 10%? 5%? 1%?—what would you guess? As you can see, this indicates that anesthesia is very safe overall—much safer than most would think. With our improved knowledge of anesthesia drugs and excellent advancements in monitoring equipment, the percentage of dogs and cats that die under anesthesia is a fraction of 1%. Surely, specific conditions (trauma, diseases and infections) can increase the risks, but these issues are more manageable than you might think. By performing pre-operative blood work and tailoring the anesthesia drugs for each pet, veterinarians can minimize the risks. Here’s a great example of a classic urban legend. Most of the time, the biggest risks are not during surgery and anesthesia but during recovery. As a pet awakens, there are a number of complications that can arise. In the Brodbelt study I mentioned earlier, over 50% of pets who died after surgery, died within 3 hours of the procedure ending; this is why it is critical to take your pet to a hospital where trained nurses will continue to closely monitor your pet after anesthesia. Actually, every veterinarian seems subject to personal opinion when it comes to anesthesia; the same way everyone has their own personal preference when it comes to cars. Some people want a Ford, while others only buy Honda, but ultimately both cars will get you from point A to point B. Similarly, different veterinarians will use different methods. Naturally they’ll choose the methods that they are the most knowledgeable and comfortable with and that they feel are safest for your pet based on blood work, physical examination, disease, breed, age etc. While all medications—even a “simple” antibiotic—have risks, very few pets will experience an unexpected reaction. Each drug has its time and place, which is why pre-operative examination, basic blood work and sometimes additional lab work are important before surgery. Additionally, it may be possible to temper the side-effects of some drugs. For example, some anesthesia drugs can indirectly affect the kidneys, which can be protected by keeping the patient on the proper amount of IV fluids. Please remember, anesthesia is very safe overall. What matters most is the nature of the drugs used, the knowledge of the people using them and the care provided to patients when they wake up from anesthesia. This concern is more often false than true. 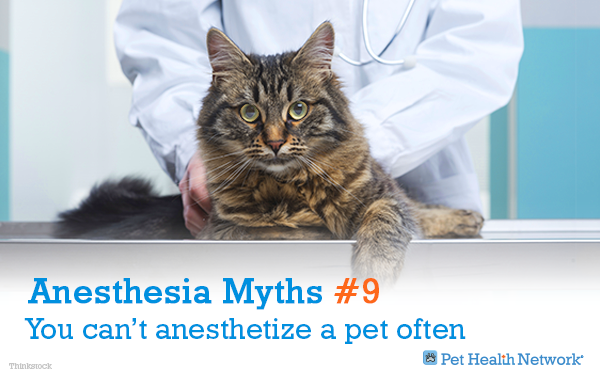 Sure, every pet, like every human, handles anesthesia differently. Even if two patients are given the same anesthesia drugs and undergo the same procedure, one may recover very quickly and act like nothing ever happened while the other may recover slowly and still seem a little groggy for a day or two. If your pet seems groggy a few days after a procedure, it is important to let your veterinarian know; your vet can look up records to see what drugs were used and adjust accordingly with alternate drugs or lower dosages. A sleepy pet may be a sign of an underlying condition. 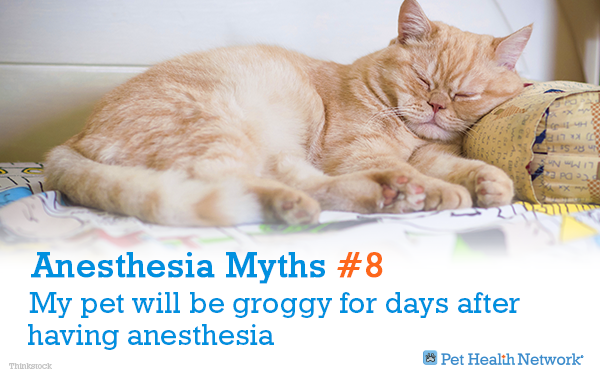 However, in most cases, pets are not really groggy from the anesthesia; rather they’re groggy from their pain medications, which can sometimes cause sedation. Most modern anesthesia drugs are processed by the body within minutes to hours. Again, please double check with your veterinarian. When pets get radiation therapy to treat cancer, their position has to be exactly the same to irradiate the tumor in the same manner every time. 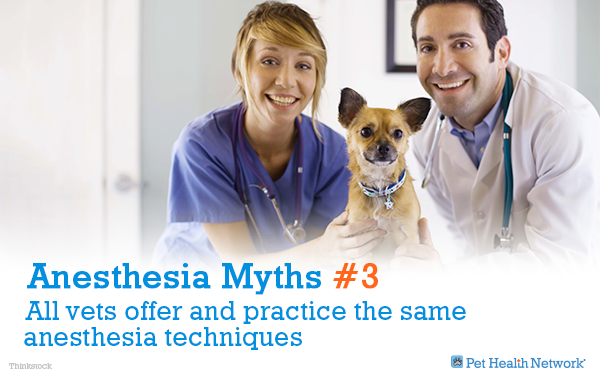 Since pets won’t hold still long enough, this means they have to be anesthetized for every session. 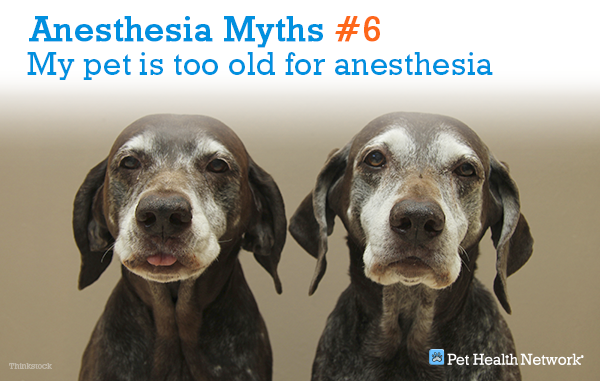 The “standard” protocol is to put them under anesthesia 5 days a week for 4 weeks. That’s 20 anesthesia episodes within one month. And most do very well, even though many of these cancer patients are very sick already. A more common situation might be taking X-rays under sedation on a Monday, fixing a broken bone under anesthesia on a Tuesday and changing a bandage under sedation on a Wednesday. These days, there are many options for very safe drugs to perform sedation or anesthesia. These drugs leave the body quickly, so they have few harmful effects. Some drugs can even be “reversed,” which means that we can give sort of an antidote to wake the patient up. 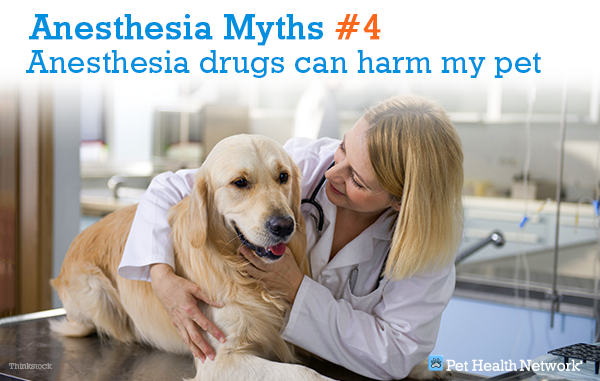 While my intention with these blogs is to show you that anesthesia is safe most of the time, some pet owners seem to take it for granted. Whether a procedure is performed under sedation or anesthesia and despite a pre-surgical exam, blood work and sometimes further diagnostic tests, any pet could have a rare reaction to a medication. This doesn’t mean that you should be overly paranoid. 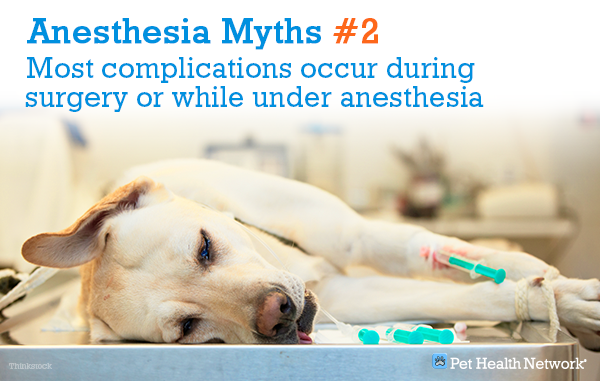 All it means is that anesthesia should be taken seriously, and that you should talk with your veterinarian before your pet is sedated.